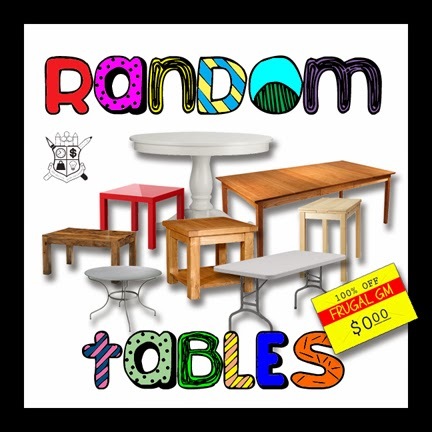 I bet you might be wondering, "Gee Chris, don't you ever get tired of random table generators?" For the record.....no, no I do not. I lurve me some random tables, probably always have and always will. To me a good random table is the epitome of Frugal GMing. Instead of coming up with an idea once you jot your info down and turn it into a good way to to quickly re-use the data again and again. A well designed table is a thing of beauty. Now I've made a few random tables before and while it seems like an easy job, there is a lot more than just coming up with a list of related things. Hopefully the list is designed such to be able to work well with other lists in a synergistic fashion. A huge bonus is if you can make it easy to access and share. John Evans has managed to do this with John's Digital Wasteland. The site is a bit sparse and looks like it hasn't been updated in a while (or at least his blog hasn't) and you might have to peck around a bit before finding the tables.....or you could just click on the lead-in graphic (or this link). Most of the tables seem to be D&D 3.5 related, but the tables towards the top are pretty generic. I'm a big fan of the "Harmless Traps" table. The cool thing is that you can download this tools to use on your own webserver. Of course not everyone will want to do this, but you could if you wanted to. On a side note.....I think I'm out of random tables unless I start putting up my own!